Want to know a secret? Once upon a time, I was a high school teacher. I rarely tell people about it because first, I was terrible at it and second, it was the worst year of my life. I only mention it now because I got the chance to use Home School Navigator Reading and Language Arts Program. Why did I make the connection? Was it a horrible product? Read on to find out. From the start, let me say that Home School Navigator Reading and Language Arts Program is the complete opposite of horrible. I’ve had the chance to review a lot of materials recently, both as part of the Homeschool Review Crew and from the suggested books given by our provider. 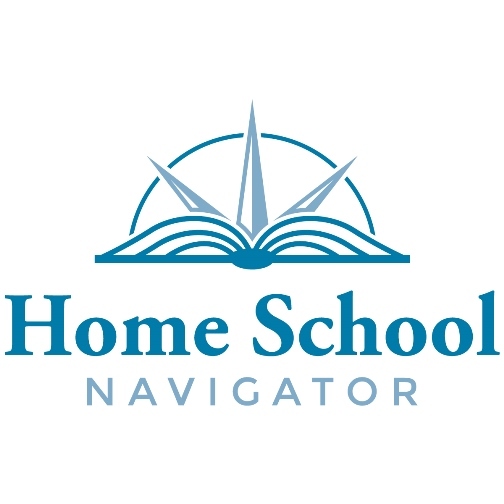 Hands down, this product by Home School Navigator is turning out to be my favorite so far. This product is a complete curriculum, which includes lesson plans, videos, printable materials, and book lists. There are six different color-coded levels, depending on where your child is when it comes to language arts. You can view the framework here. Homeschol Navigator provides an overview of the lessons in increments of a month. It gives information like the genre and literature and the reading and writing goals to be achieved. Then, it breaks it down to something more specific and practical. There are lessons plans by week, where you can see what you are supposed to do each day. All of this happens by simply downloading a PDF file and printing it out. Everything is contained in the file, from the teacher’s guide to the worksheets. We started off with the lowest level, which is red. As we progressed, it was clear to me that we should have used the next level, orange, which is more at par with her skills. But, we stuck to it, since practice and mastery is always a good thing and I didn’t want to disturb her flow. Each day, we are given a to-do list. You can choose to upload the work into the site, which can be later compiled and printed out into a portfolio once you are done with the curriculum. I ended up not doing that and instead, kept all the finished output in a folder. The common thread among the levels is the presence of read-alouds. The curriculum suggests that the books are read several times to ensure comprehension. In our experience, the story is the anchor for the rest of the lesson. Whether it be watching a video or doing some desk work, the story acts as the introduction of the lesson and as a way to interest the student. I mentioned early on that this is one of the best products I’ve reviewed so far. The reason for this is how complete, thorough, and organized it is. It reminded me of my teaching days when we spent several months just making lesson plans in preparation for the school year. It honestly felt like you had someone do that for you, with this product. As teacher-parents, it is easy to rave about how these lessons are presented. It’s pretty much established that it is convenient and easy to use. However, that’s just a part of the formula. The real bulk is whether or not it actually works on the children. In our case, my daughter loved the stories. What kid doesn’t like being read to? She also thought that the activities were unique enough to pique her interest. It’s not all copywork or line tracing or even answering open-ended questions. The activities were presented differently each time, which she enjoyed. My only quibble is that it was not easy finding the books on the recommended list. It’s apparent that Home School Navigator wanted to stick to the more popular ones, but as someone from the Philippines where libraries are practically non-existent and bookstore options are lacking, it was a bit of a struggle to follow the list completely. Having said that, I think it’s more of an indictment on the sorry state of my country’s access to books, rather than it being the fault of Home School Navigator. Overall, I am quite thankful to have encountered Home School Navigator Reading and Language Arts Program. I highly recommend it. To find out more about it, follow them on the following social media pages. Interested in what other homeschooling families have to say about this product? Click on the image below to read more reviews.